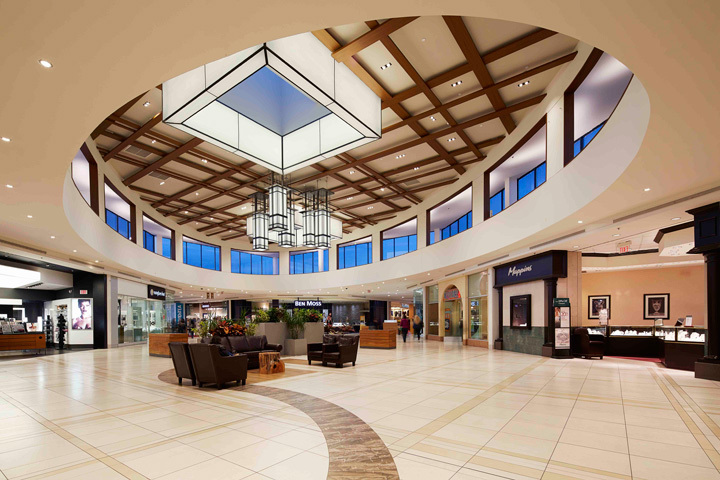 To increase St. Vital Centre’s already competitive edge by updating the common area with unique design components attractive to new tenants. 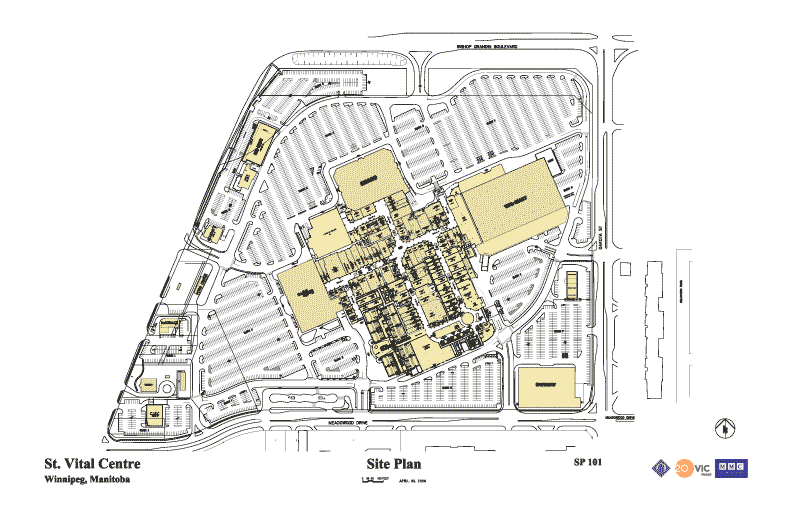 At almost one million sq ft, St. Vital Centre is the second largest enclosed shopping mall in Winnipeg. 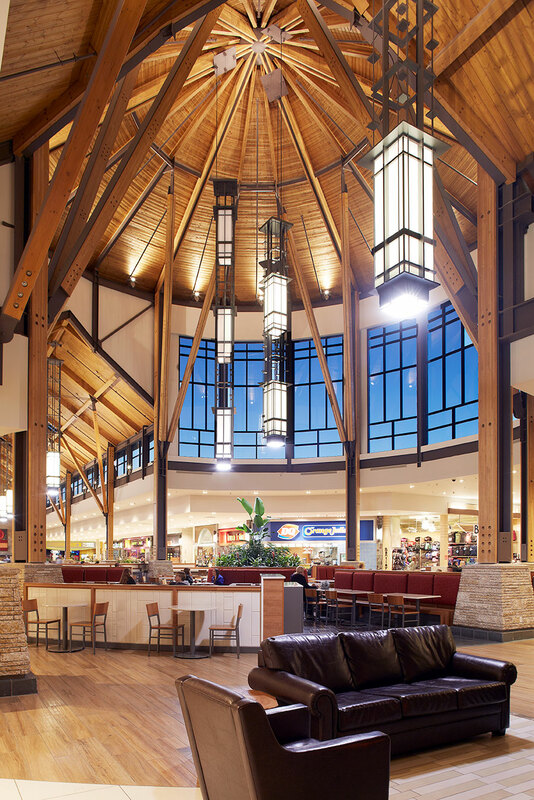 The renovation allowed St Vital Centre to remain competitive within the market by updating the common area. 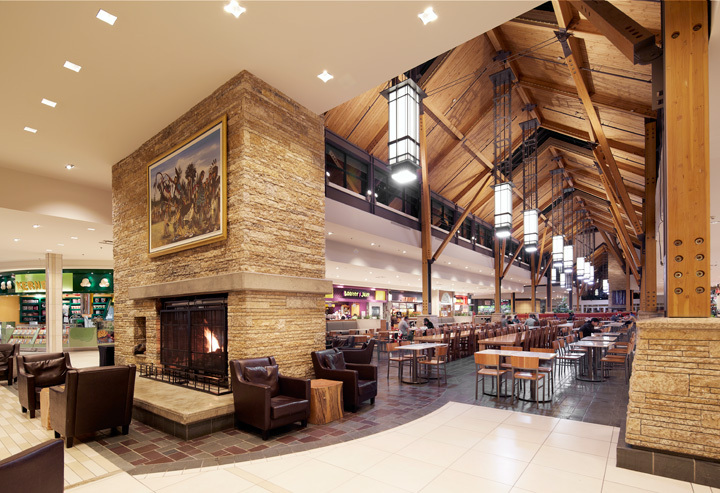 The aesthetic direction of the mall renovation was inspired by the design principles of Frank Lloyd Wright’s American Arts & Crafts style. 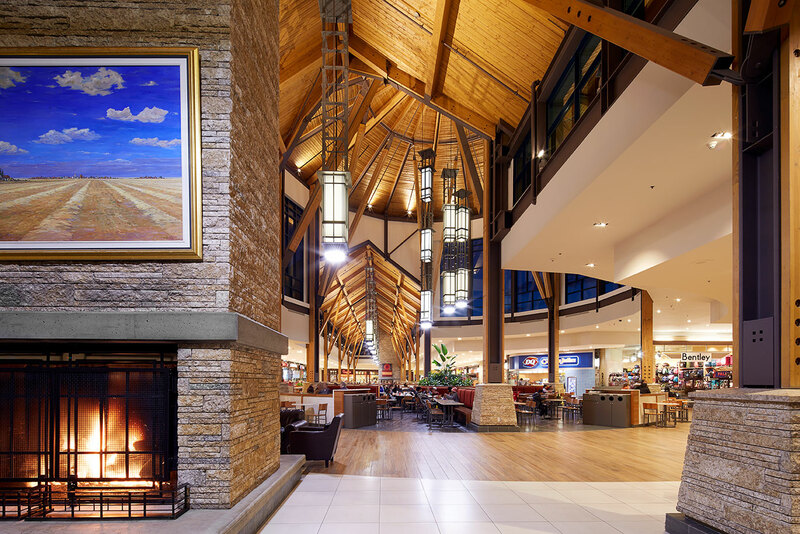 The City of Winnipeg, being located in the heart of the Prairies, was ideally suited for this prairie style architecture. 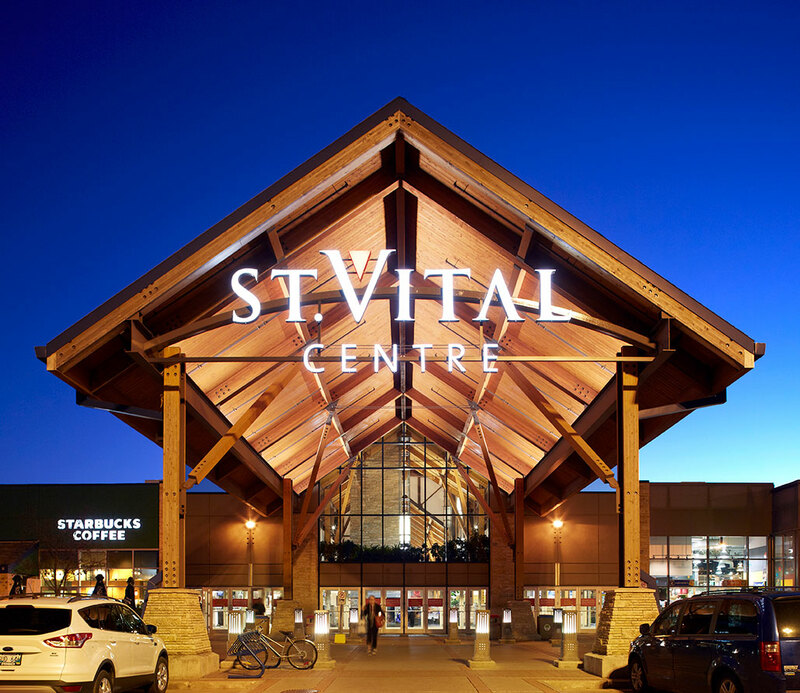 Last renovated and expanded in 1998, St. Vital Centre was performing well, but was starting to show its age. 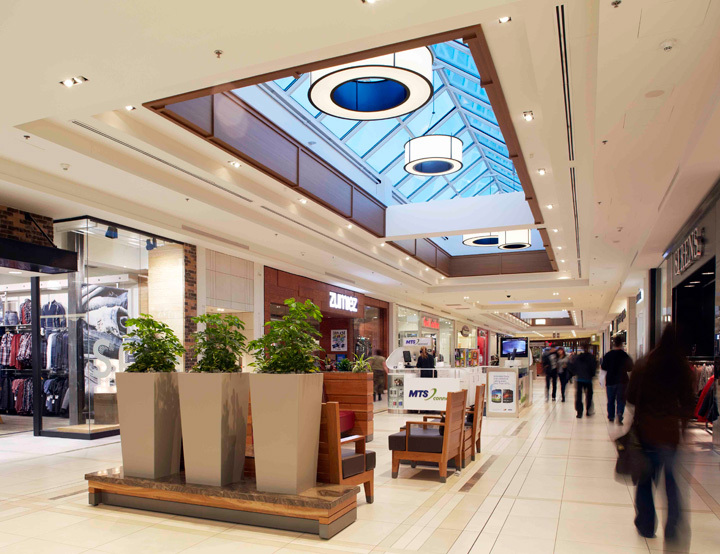 In order to remain competitive with the other regional malls in the market, the shopping experience needed to be elevated. The renovation included the addition of two new skylights. These, combined with the brighter energy-efficient lighting, have transformed the visitor’s experience into one awash in daylight brilliance. The renovation propelled the centre’s status to attract first class tenants who were motivated to add their name to the tenant mix. 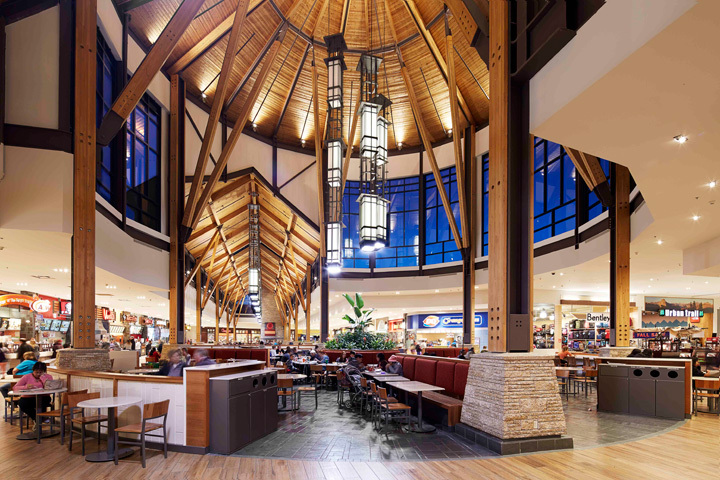 The existing architectural rotunda and cathedral ceiling of the spectacular St. Vital Food Hall was retained and highlighted with oversized suspended custom light fixtures, new flooring and a new furniture program.